Cabrio Ultra Fine Ryegrass has, for the third consecutive year, been announced as the number one variety for fineness of leaf in the BSPB’s Series L Table 1 for perennial ryegrasses. Formally introduced as a new cultivar in 2016, Cabrio Ultra Fine Ryegrass went straight to the top of the BSPB’s Table L1 for 2017 thanks to a fineness of leaf scoring of 8.8. It retained this position in 2018 thanks to another score of 8.8, and enjoys the same position in 2019’s list thanks to a rating of 8.7 – a score which is still half a point clear of its nearest rivals at 8.2. 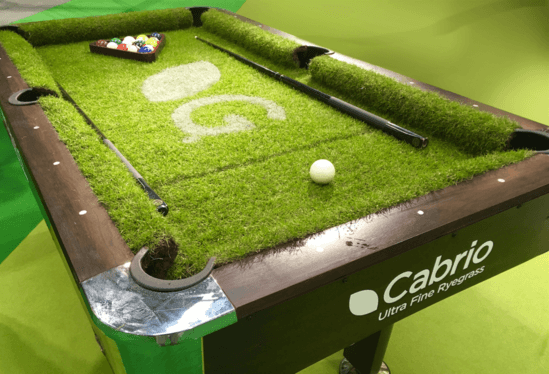 Cabrio is recommended for use on golf tees and golf green aprons as well as tennis courts and cricket squares where it is ideal for repairing baselines and wicket ends. 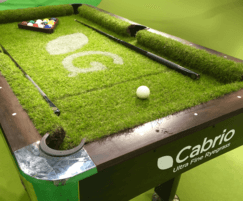 Cabrio is exclusively available from Germinal in the company’s A5 Cricket, Tennis and Tees, A10 Golf Tees and Divot Repairs, and A28 Ultrafine Ryegolf mixtures. Its inclusion in all three of these mixtures enhances sward density, wear tolerance and repair capability.